I can’t remember the last time I set foot in an actual ocean. That might be excusable if I lived in Ohio. But I live in California, and for the last decade have never resided more than a short drive from the beach. 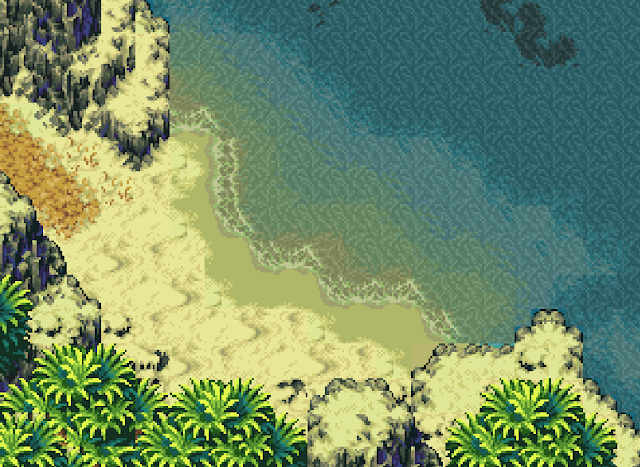 Still, as the thick heat of a Los Angeles July is creeping up on me and into my house, I’m looking at this Super Nintendo approximation of sun and sand and just getting lost in it. It doesn’t bother me that I can see the tile pattern in the ripples on the water or that I can tell that the palms are so clearly the same arrangement of pixels, copied and pasted. I love it. It’s nostalgic. It’s aspirational. It’s calming. Mom was right: I did spend too much time staring at screens.